Manitoba Aerospace is seeking the talents of a highly motivated Indigenous person to fill the position of Indigenous Aerospace Liaison. This is a challenging role that requires a passionate, energetic and highly committed individual. Working in partnership with Centre for Aboriginal Human Resource Development, this position will be responsible for program coordination (new hires), providing supports to program participants/new hires as well as partner companies. This position will also provide outreach/awareness to the Indigenous community. 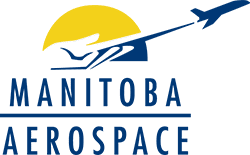 Manitoba Aerospace is a not for profit organization that seeks to meet the educational and training needs of Manitoba’s aerospace industry. Manitoba Aerospace recognizes that the Indigenous community is a resource to help address the demand for qualified workers for the aerospace industry. As a result, and acting for approximately 20 aerospace-related companies, including Boeing Canada Technologies, Magellan Aerospace Ltd. and StandardAero, Manitoba Aerospace facilitates the provision of high-quality training programs for both existing employees and new hires. A Bachelor’s degree in Education, Adult Education, or Social Work; certification in Human Resource Management, Life Skills Coaching, or a relevant combination of education and experience will be considered. A background in the aerospace or manufacturing sector would be a real asset. The incumbent will be familiar with the urban Indigenous community and have a good knowledge of community resources and support programs; and possess strong presentation skills. Excellent written and oral communication skills are vital. A practical knowledge of Microsoft Office is required. A current driver’s license and access to a vehicle are required. Manitoba Aerospace offers a competitive salary and a good benefits package. Development and implementation of recruitment strategies. Providing retention and support services to Indigenous trainees/employees. This includes regular visits to the training facility and/or workplace. A flexible schedule is required so you must be available to work occasional evenings and/or weekends. Providing personal and development supports to trainees to ensure successful program completion. Responding to the needs and requests from the companies involved with the Indigenous New Hires trainees/employees. understanding of Indigenous issues among the aerospace industry. Keeping the Manitoba Aerospace staff aware of any relevant programs, events or developments within the Indigenous community. Working effectively in a cross-cultural setting to ensure that Indigenous employees/participants are treated fairly while ensuring industry standards are maintained. Representing the Indigenous community, Manitoba Aerospace, and the aerospace industry in a positive and professional manner at all times. Other duties as assigned by the Director of Special Programs, Manitoba Aerospace.